We are the Climate Generation is a European campaign to raise awareness and demand action on climate change. In seven countries, seven award-winning photographers have captured families and their hopes and concerns for the future. The call to action is to show a collective response to climate change at the 21st Session of the Conference of the Parties to the United Nations Framework Convention on Climate Change (COP21) that will take place at the end of November and beginning of December in Paris. The photographs take centre stage on the campaign website alongside the opportunity for people to share their own photographs and thoughts about climate change. There’s also a ‘We are the Climate Generation’ film, using footage gathered by each agency. The campaign has reached out across social media to gather momentum, awareness and buy in. 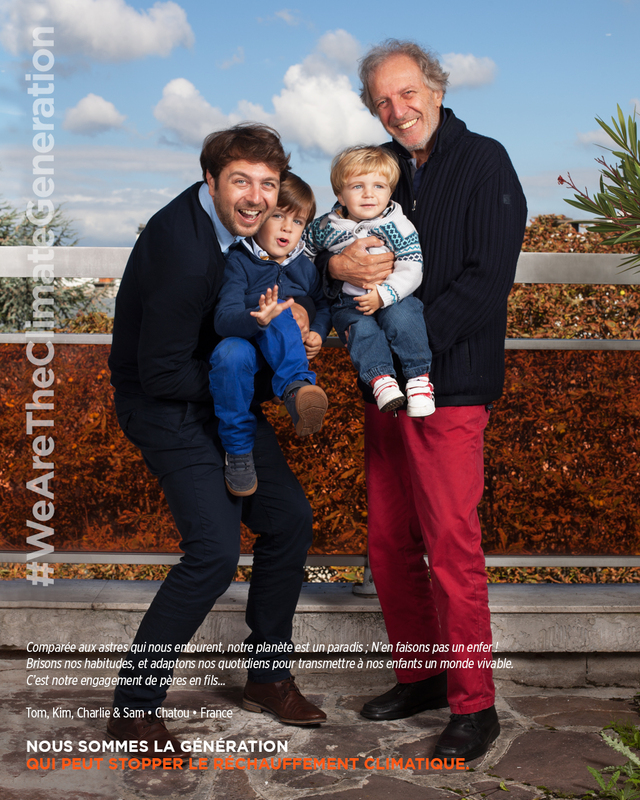 Using #wearetheclimategeneration people are backing the call to take action on climate change, from the man in the street to members of the Italian Parliament.